Prime Minister Nikol Pashinyan on Tuesday visited the Armenian Police to congratulate the high command and the police officers on their professional holiday. In his speech at the ceremony, marking the 100st anniversary of the national police, Pashinyan remembered that exactly one year ago, he led the popular movement to unseat former authorities. ''One year ago today, we were together again, but on different sides of the barbwire,'' he noted. Meantime, the prime minister admitted that the police, as a law enforcement authority, has, at times, to resort to use of force to maintain public order. ''Yet it is important to underline that the actions of the police must never reflect hatred. That may be considered our achievement of the past months, i.e. – that hatred, as a feature characterizing relations, has pushed its way out of the relationship between the citizens and the police,'' he added. 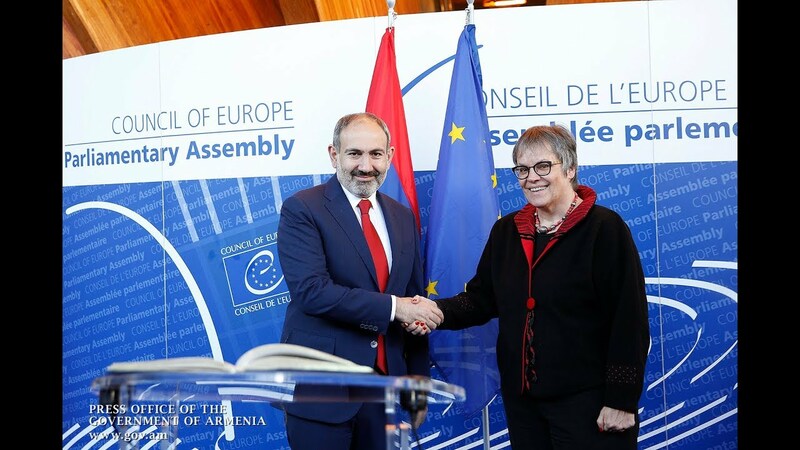 Describing the police as a key pillar of the state, Pashinyan further called for active efforts towards upgrading the functions of the police bodies. ''I am hopeful that at this current new stage – in New Armenia – the police will acquire a new content and new form to demonstrate its abilities in the best way. And that will not be tantamount to serving a specific political force or a specific individual,'' he said, thanking the policemen for the high-level performance of their duties.